Hey guys, I'm new to the forum b/c I just got this car. 2015. 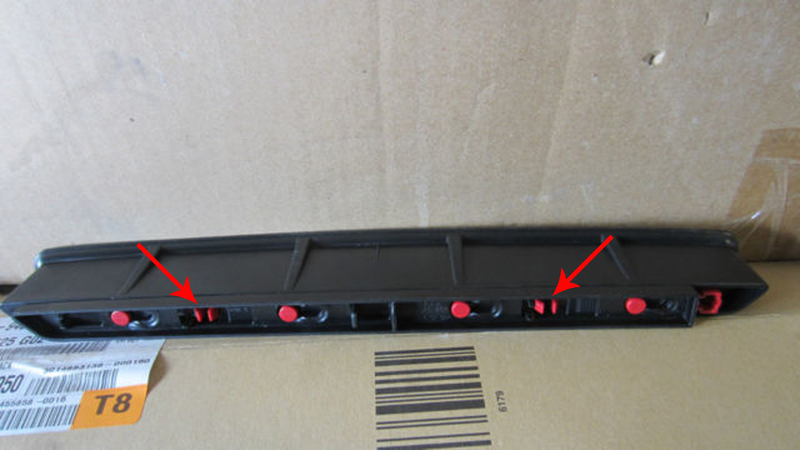 Does anyone legitimately know how to get access to the 3rd brake light to remove it? I am trying to do a mod to it and I have no clue how to remove it. Any help would be great if you've done it before. When I had my windows tinted I saw the shop just pop them out. I can't remember exactly what tool they used. I did find some pictures that may help you. I know you where you got those pics from haha eBay. I asked him and he just bought it like that. I thought he may have dismantled his car. By chance do you have a phone number to the tint shop? This was a 2015 and up correct? Yes mine is a 2015, here's their phone 512-467-6767. They specialize in Audi so I think they can help. I was at the dealer today and while talking to my service tech I asked him how to remove the third brake light. He said all you have to do is slide it out, it may take some force but there's no screws or anything holding it in. HOLD TIGHT. I will attach pics if I know how of what I am working on.... you might like it. There you go.... for $13 bucks I couldn't go wrong. I saw them on other Audi's so I thought I'd give it a shot. And S3Fan... thanks for letting me know. I was afraid to pull down the head liner in case it would never go back up but I didn't even need to. The brake light is on rails up in the head liner. You're welcome man, glad I could help.